This year the City of Dallas invested $4.8 million in renovations to the L.B. Houston Golf Course, which is on municipal parkland along the Trinity River. The course will be officially re-opened this weekend as “Luna Vista,” with a Friday ribbon cutting ceremony and a Saturday tournament. Here’s an article with pictures of the new course. 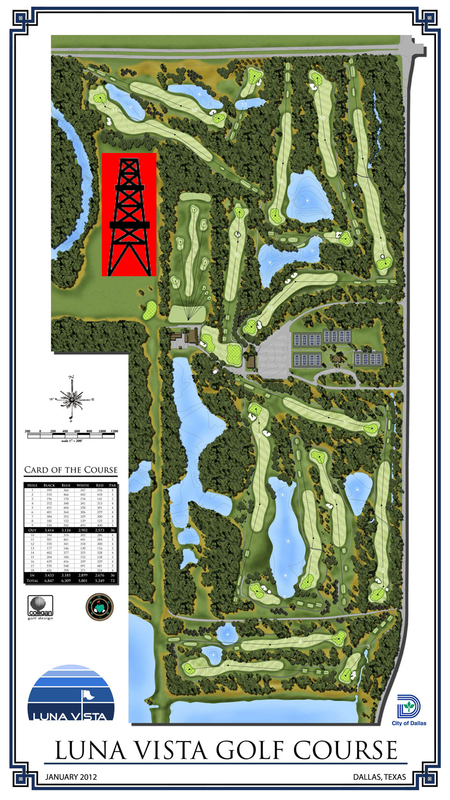 Unfortunately, thousands of acres of parklands have been leased for drilling, including three sites at the Luna Vista Golf Course. One is adjacent to the driving range! The City Council is considering an ordinance that could allow gas drilling at Luna Vista and on other parklands. Click here to send a message to Mayor Rawlings and the City Council now: Don’t frack our fairway!